How did it get so late so soon? I can hear everyone saying. But I am not complaining. December is lined up with very merry events. From something to fire up my creative belly to tingle my taste buds at the many Christmas markets in the city! So, here's my December Edit of Things to do in London. These are all the events I plan to attend; there is so much to do in this city and this by no means is an exhaustive list, just me on my mini adventures this month. something turns up and I keep missing it. But not this month. Not when, London’s resident storyteller, Vanessa Woolf is in the house. As a writer and storyteller myself, I am intrigued by Vanessa's journey and can't wait to dive into her world of storytelling drawn from history and folklore of London. As some of you may know, I have been writing for Unread magazine for a while. This is an amazing group of inspired and creative writers from all over the world, and I am happy to be attending Pockets of Inspiration - A Creative Discussion & Networking event hosted by them. If you are in London, do come by. Lots of goodies and free vibes throughout the event, along with limited copies of Unread magazine. I am back with my Gather gang this month for an evening of live music, wine and festive fare! I am so grateful to be part of this group of incredible women. We share stories that are personal and real and have conversations that matter. Each time I meet them I feel a lot closer to family! Christmas markets are popping at every corner in the city. It is hard to which one to go to, so every year I try and hit a new spot. This time I am making my way to the magical London Bridge City. Along with the delicious pop-up food and drink stalls. I am eager to catch any of their free workshops of wreath making or jumper decoration. P.G. Wodehouse is definitely my kinda guy, I must admit. I came across his work when I was in school, thanks to my cousin brother. And his comic writing made me roll with laughter. Truthfully, I haven't picked up his book in years, and when I came across this exhibition at British Library I felt like revisiting some of his masterpieces. I don't know much about the writer's life, so really looking forward to this exhibition. If there is one thing I want to do this Christmas, it is attend the cathedral’s world-famous carol services on the 23rd and 24th December. I've heard that this is the best festive concerts in London, and it is free. Such an angelic way to step into Christmas eve! What are your plans the Christmas month, folks? 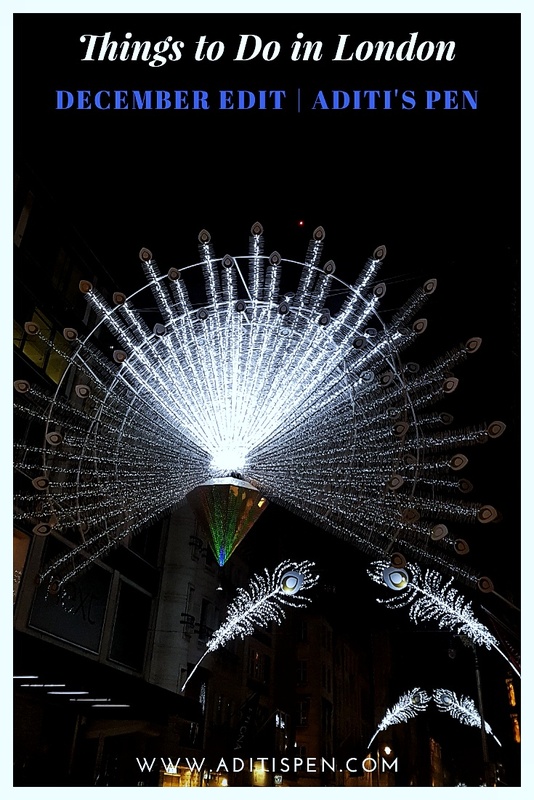 If you are in London, come and join me as I explore these creative and festive events around the city. Thanks for reading. If you liked my post, tweet me some love, or come say Hi! on Instagram, or best of all VOTE my blog for UK Blog Awards. 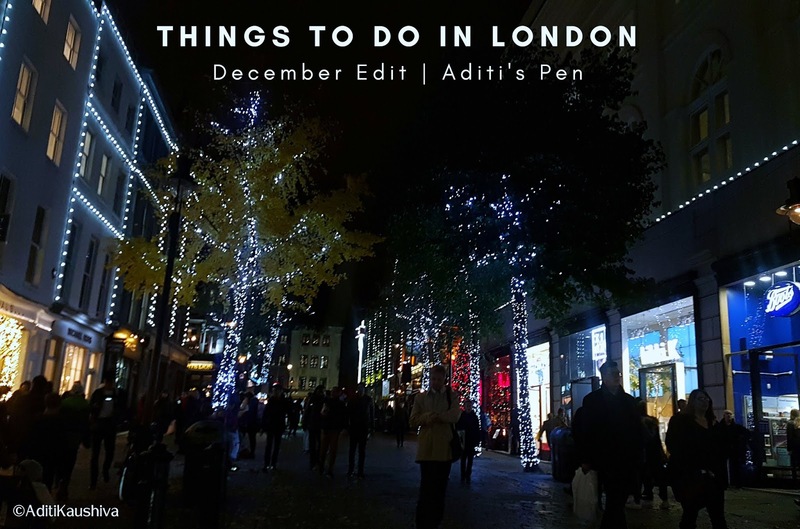 I wish I was closer to London as it seems like there's so much going on, especially during the festive season! The carol services sound so fun too, I absolutely love singing and going to see live music. Especially when it involves lots of voices and harmonies! I haven't been to London before but love that there's so much to do! I know I'd enjoy Christmas by the River! I am a big sucker for looking through shops and such. Oooh, listening to Christmas carols is a great way to get your festive mood up. My boyfriend would enjoy all of these! Thanks for sharing! That sure is a line-up of fascinating things to do this holiday season. Sigh! Wish I was in your part of the world. Lived in New Castle as a kid, and my only memories are of Buckingham palace as a five year old. You have a blast. And yes, Merry X'mas!! Ho! Ho! I wish I could roam around London in this Christmassey ambience- it must be so warm and fuzzy with christmas carols humming out! I used to adore singling hymns and carols in school especially around Christmas. Will try and attend a concert in Delhi if I can for this. Your workshop activities and discussions sound amazing- do tell us how they turned out to be! 9ice post Dear ………keep posting!!! London has a lot of activities and things to do. It's absolutely a romantic place. I've never had the chance to be here before, but I'm glad that this Christmas I have a lot of things to do, making gifts for my friends, dressing up my house, making delicious food and so on.